Protect your firearms from rust and damage with these silicone-treated knit socks that are impregnated with a specially formulated rust inhibitor. 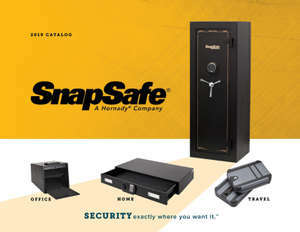 Use in gun safes or gun cases for added protection. Fits handguns up to 8-inch barrels. Fits rifles and shotguns and ARs up to 50" and fits over scopes. Silicone treated knit fabric will not hold moisture. Open weave fabric allows air circulation. Protects guns from scratches in storage and transport. Safe on woods, metals and plastics.